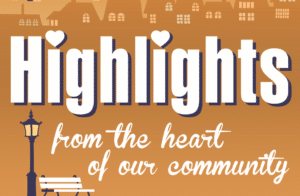 The show airing May 7, 2018 – May 14, 2018 ‘highlights’ the SMART 5.29 Run/Walk and the Cystic Fibrosis Foundation Great Strides Run/Walk. We interviewed Gina Joynes, WV Deputy Treasurer for Communications. She discussed some of the programs the WV State Treasury office operates. Then she went into details about their upcoming 4th Annual SMART 5.29 Run/Walk scheduled for Saturday, May 19, 2018. Gina invited you and your family to the 4th annual SMART5.29K Run/Walk on Saturday, May 19, 2018! The race is sponsored by the West Virginia State Treasurer’s Office in partnership with Mission West Virginia. The SMART5.29K raises money to establish SMART529 College Savings Plans for children recently adopted out of the foster care system in West Virginia. All proceeds from the 5.29K registration, minus a $3.00 race fee, will be deposited into SMART529 College Savings Accounts. The accounts will be awarded through a selection process administered by Frameworks and Mission West Virginia. This year’s race will start and finish at the Appalachian Power Park (3rd Base Entrance on Smith Street). Check-In/Registration will begin at 8 a.m. A Kids Fun Run will take place at 8:45 a.m. for children 12 and under, and the 5.29K run/walk begins at 9 a.m. Packet Pickup is 4 p.m. to 6 p.m. on Friday, May 18, 2018 at center court of the Capitol Market on Smith Street. 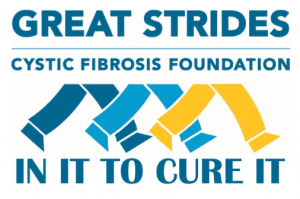 We also interviewed Will Bobinger, Committee Member, CFF Great Strides Run/Walk scheduled for May 19, 2018 at Kanawha State Forest beginning at 8:00 a.m.
For 30 years, Great Strides – the Cystic Fibrosis Foundation’s largest national fundraising event – has supported the Foundation’s mission to cure cystic fibrosis and raise awareness for this rare, genetic, life-shortening disease that makes it difficult to breathe and shortens lives. Will & his wife Linda, have been involved in this event for 34 years after their daughter Adele was born with CF. They continue to lead Team Adele after her passing 7 years ago. Click here to join their team. Feel free to call 304-342-1960 for more information.